AquaLac is a premium plus water-based quick dry lacquer primer, which offers excellent sanding properties, tanning resistance and minimum grain raising. 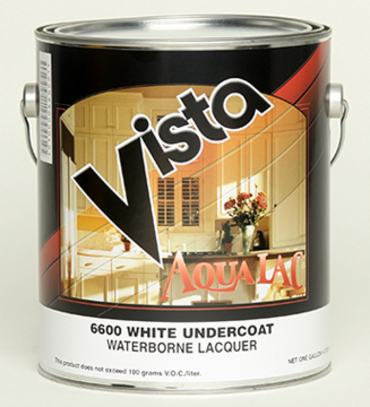 AquaLac isdesigned for new or refinished projects over wood, drywall, paneling, hardboard and many other interior surfaces. This product offers excellent adhesion and enamel hold out. Recommended Uses: Drywall, concrete, hardboard, wood, cabinets and interior/exterior doors & jambs.